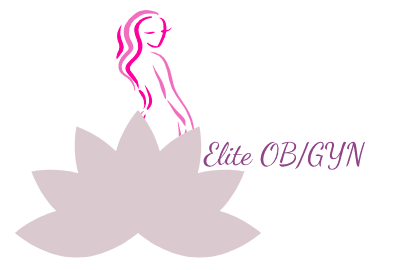 Elite OB/GYN provides exceptional obstetrics, gynecology, robotic surgery, and minimally invasive procedures to women of all ages. They also offer specialized weight loss programs from the comfort of their warm, spa-like office in Fort Lauderdale, Florida. Every woman should see a gynecologist regularly, but not every woman feels comfortable doing so. That’s why the team at Elite OB/GYN has made it their mission to treat patients with the same degree of respect, concern, and understanding that they themselves would like to receive. As a patient, you can expect prompt, friendly, and courteous service, a clean and comfortable environment, and doctors that are sensitive to your desires and respectful of you and your family. By delivering the most advanced care available and swaddling it in a genuine sensitivity for the needs, issues, and concerns of each woman they work with, the Elite team has created an environment where patients become their healthiest selves and maintain an elevated well-being. It’s a deep attention to detail that makes Elite OB/GYN an oasis for patients looking to experience the highest standards of care and service. From the serene office environment to that little extra time that the highly trained staff spend listening to your concerns, you are guaranteed to feel that your health is in good and gentle hands. Moreover, when you’re pregnant, it is reassuring to know that your obstetrician really cares about you and your baby. This is the kind of VIP treatment that all patients deserve, and at Elite OB/GYN, that’s the standard of personalized, top-quality care that you can always look forward to. "I received tips and educational information at the end and I felt like all my questions were answered in that short period of time I was there." "Great doctor and office staff!!! Atmosphere is very private and you feel here very comfortable. Definitely will recommend it!" "I know you ladies understand the discomfort this yearly visit brings you. Elite Obstetrics makes it a little less uncomfortable."